The joint report by the Federal Bureau of Investigation (FBI) and Department of Homeland Security (DHS) issued on Thursday to support accusations of cyberattacks by Russia against the United States lacks any serious substance and does not even claim to be accurate, former US Ambassador to Saudi Arabia Chas Freeman told Sputnik. WASHINGTON (Sputnik) — The report contains a disclaimer and states it is being presented "as is," adding the DHS does not provide warranties of any kind about the information presented in it. "It doesn’t claim that it’s accurate," Freeman stated. "It doesn’t mention WikiLeaks … not even once. In other words, the report does not allege that the Russians gave any Democratic Party or [Democratic National Committee chairman Leon] Podesta emails to WikiLeaks." Freeman also identified what he called "weasel words" in the report, by which he meant qualifying terms to cover the fact that the authors of the report knew they were making allegations that could not be supported by hard evidence or proof. "The report starts with a disclaimer, and uses weasel words like ‘as is,’ and ‘does not provide any warranties of any kind regarding any information’." These are terms that someone who is selling something that is useless uses when he does not want to talk about the fact the blasted thing will not work. Such terms were commonly used in reports of dubious credibility to protect their authors from being sued in courts of law for intentional misrepresentation or willful concealment, Freeman explained. The report fails to note National Security Agency (NSA) whistleblowers have said the NSA already possess full and decisive documentation that would clearly prove the embarrassing leaks alleged to have bene provided by the Russians really came from sources within the Democratic Party, Freeman added. "It doesn’t address the fact that top NSA whistleblowers say that the NSA possesses records showing exactly how the emails went from the Democratic Party to WikiLeaks as it tracks all electronic communications in the United States," Freeman stated. Senior former NSA and Central Intelligence Agency (CIA) officials have even supported WikiLeaks head Julian Assange’s insistence that the key embarrassing documents to Hillary Clinton’s election campaign came from within her own party, Freeman added. The FBI-DHS report "doesn’t address the fact that top former NSA and CIA officials (and WikiLeaks) claim that these were not hacks at all but rather leaks by American insiders," he pointed out. Freeman also noted the report was extremely short and superficial. "It is only five-and-a-half pages long with another seven pages for future security recommendations… It’s important to note what the report does not say. The report really doesn’t say much of anything," he concluded. 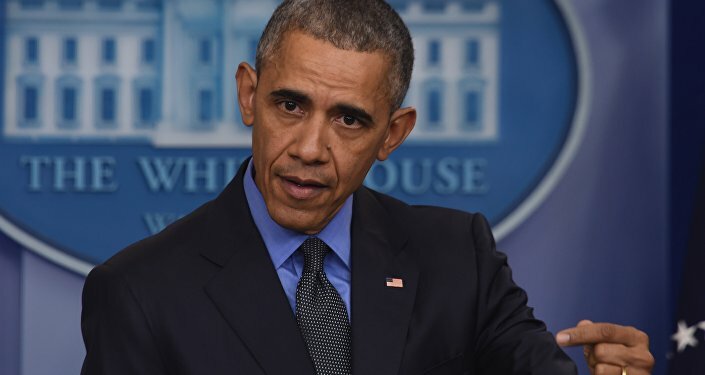 On Thursday, the Obama administration also announced the expulsion of 35 Russian diplomats and new sanctions against six Russian individuals and five entities over Moscow's alleged interference in the November presidential election and harassment of US diplomats in Russia. Russian officials have repeatedly denied the US allegations, characterizing them as absurd and laughable nonsense. The corporate mainstream media outfit New York Times in a report on Thursday also acknowledged that the alleged evidence in the report fell short of anything that would directly tie senior officers of either Russian civilian or military intelligence to any plan to influence the November 8 US election.